KB: In the Intro to Marketing class, professor Scott Webb talked about how an iPhone is sourced. It was fascinating getting into the process. I talked to upperclassmen in the GSC club, and it was great to be so included. But professor Simon Greathead’s Intro to Supply Chain class solidified my decision. His enthusiasm and the opportunity to work on projects and experience in the field made the decision easy. RR: I grew up on my dad’s pumpkin patch in Idaho. There, I saw how a good, conscious business owner could positively influence his community. Then, while I was on my mission in Tokyo, my mission president, who was a businessman, emphasized working with people to solve problems. I chose global supply chain because it’s the business of business—you spend all your time making a business run and negotiating with others to do it. How did you prepare to apply to the program? KB: I knew the supply chain program values experience, and I knew a sophomore internship could set me apart in the application process. After a long search and networking, I got an internship, which gave me confidence as I interviewed for the program. RR: I talked to people in the program. A member of my ward was a senior when I was applying, and he gave me the perspective of a student studying supply chain. I also worked in a global supply chain job to help me learn more about the field and bolster my application. What was your internship experience? KB: I was the supply chain intern for Orbital ATK, a defense and aerospace company in Southern California. I was in charge of creating a vendor-managed inventory for the production floor, which helped them outsource the resupplying of their basic supplies such as chemicals and gloves. As a multibillion-dollar company, if they ran out of some basics, production was halted, they lost a lot of money, and they had to make Home Depot runs. The learning curve there was steep, especially considering all the field’s acronyms, but I thrived in that environment. They gave me meaningful projects and trusted me from the get-go. I really felt like I made a difference, and I helped them decrease their material costs by 30 percent. RR: I was head of concessions at a small musical theater in the mountains of Idaho. In that role, I decided which products we sold and how we marketed them, and I developed relationships with our suppliers. If there was a problem, I handled the situation and made sure the results worked for their company and ours. I also trained and managed twenty employees. It was a cool experience because I was given a ton of autonomy to run all the parts of a business. What is your favorite part of the supply chain program? KB: I’ve loved how personable the professors are. They really care about us, are willing to talk anytime, and truly want to help us succeed. They are incredibly knowledgeable and experienced and provide real-world examples to make the principles they are teaching as clear as possible. RR: The culture of the program is my favorite part. Each professor is highly invested in our success. The professors want us to be successful in our personal lives, too. They relate the principles in class to the gospel because they genuinely see how the principles relate to their personal lives, and they want us to see that as well. 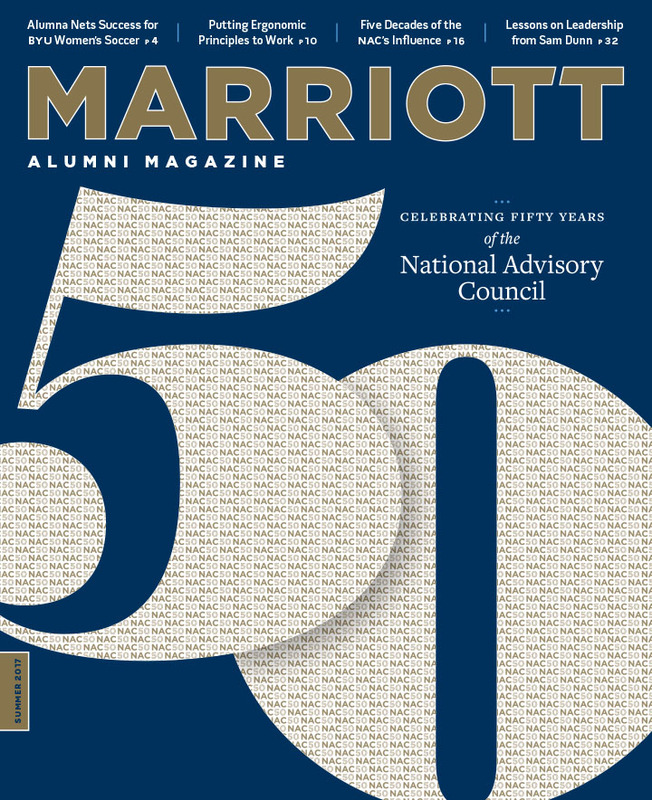 What is your advice for students applying to the Marriott School? KB: Just give it your best, especially in the prerequisite courses. Try to get involved early in clubs to see what you want to do. See if you can get that sophomore or even freshman internship because that will set you apart in the interview process. RR: Thoroughly look at all the opportunities the Marriott School provides and decide which one you’re most passionate about. Then get involved in clubs. It’s so empowering to see the effect we can have on others and what effect others have on us. KB: I’m interning with Boeing this summer. If I like it, I’ll try to stay there for full-time work. If not, I want to try and get into a rotation or leadership development program with a big aerospace company or a big supply-chain-oriented company. RR: I want to be a global supply chain professor at BYU. To prepare, I’m working as a research assistant and as a teaching assistant. I’m helping develop a course for an introductory supply chain class and researching with professor Cindy Wallin on how supply chains differ in developing countries versus in developed countries.